Rub entire surface of beef roast with cajun seasoning. 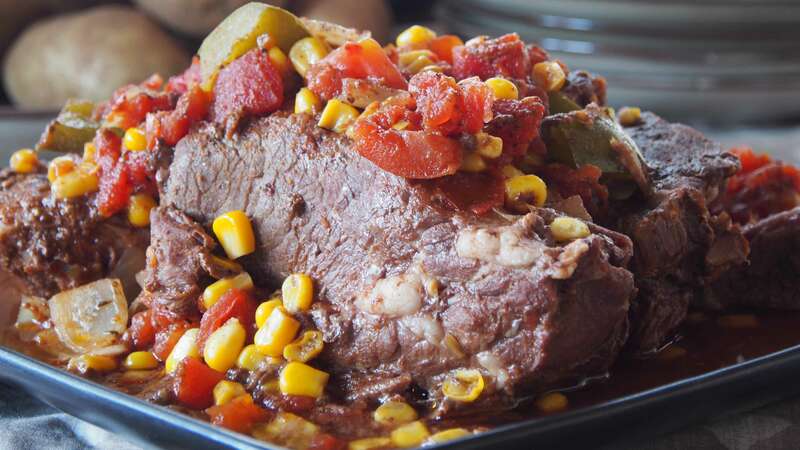 Place roast in 3 to 4 quart slow cooker. Top with corn, onion and bell pepper. In small bowl, combine tomatoes, pepper and hot sauce; mix well. Pour over vegetables and roast. Cover and cook on low setting for 8 to 10 hours.